I am currently 6 months pregnant. Anyways, next week I am having a meeting with my supervisor/team to plan out my leave. I luckily work for a very flexible company and will be getting 12 weeks fully paid right off the bat. Beyond that, it is pretty much entirely my choice on how much time I’d like to take off… I can take off up to 6 months total without anyone having any hesitation. Anyways, I don’t know exactly what I want to do. It is my first child, I plan on breastfeeding, and I just don’t know how much time to take off, do you know of any resources out there to help me with this? Also, I was curious if there is a post about navigating the process of discussing maternity leave with bosses. What should I be prepared with besides how much time off I plan on taking and also a plan for who will cover what work while I am done. Do I need anything else? A few months before you leave: plan office support for the transition. Who will be taking over your active projects? Will he or she be taking them on in addition to their regular workload, or will this replace some of their regular work? Will you have time, on the clock, to go over your projects with this person? Will you have office support from your boss to devote the time you need to preparing the projects for transition? What if one of your former (or quiet) projects becomes unexpectedly active — what then? Maternity leave beyond 8 weeks: maybe yes, but maybe no. How long an “ideal maternity leave” is will vary widely by woman, and you won’t necessarily know how you’ll feel until you’re there. Maybe you’ll be eager to get back to work — maybe you’ll dread it. Your hormones, the baby, what childcare options you’ve chosen, etc., will all be a factor in the decision. So again, in my mind, an IDEAL maternity leave would be slightly open-ended. It would be very cool to have a boss understand that you’re hoping to come back at X date, but it may be 3 weeks earlier or 3 weeks later. Communication with your boss, and a scheduled check-in at some point in the midst of your leave (maybe at the 6 week mark?) would be key. Save 2-4 sick days or vacation days to use AFTER maternity leave ends. Regardless of which childcare option you choose, you will end up needing a sick day here or there. If your baby is in daycare or another group situation, he or she will get sick, and you’ll end up scrambling at the last minute. On the other hand, if you have one primary person with responsibility for your child (like a nanny), that person may also get sick and call out, sometimes at the last minute. You can (and should) plan for this before it actually happens — but having a sick day or a vacation day to fall back on would be great. Readers, what are your thoughts? What would an ideal maternity leave look like to you? This is exactly the question I was wondering about as well, since I too am six months pregnant. The idea of transitioning back to work with a period of part-time work was suggested to me by my boss actually. I would like to take at least four months off in hopes that my baby will be sleeping through the night by the time I g0 back to work. And, just to hedge my bets, I thought I would work part-time for two additional months, so that things didn’t get too overwhelming right away. I hope to breastfeed as well, and everyone says pumping and especially pumping at work is unpleasant. So, I figured I’d be more likely to stick with the breastfeeding, if I’m not working every day. My doctor suggested working to 38-39 weeks, so that is what I plan to do. As an over 35 FTM, I was told to expect a lot of doctor’s appointments after 36 weeks as well. So, things will have to necessarily slow down. My doctor also said that they will look for signs of any distress and if necessary, encourage an early birth anytime after 36 weeks. So, I am planning with that in mind. I think Kat’s answer that anything beyond 8 weeks is up in the air is weird. Babies are just starting to get fun then! OP said she could take up to six months, with no “hesitation” from the powers that be. Presumably that is cobbled together through sick days, vacation days, and unpaid leave, so it isn’t fully compensated, but if you can swing it financially, and you feel you won’t be penalized from a career standpoint, why wouldn’t you take far longer, potentially the full six months? I am a fourth-year biglaw associate and I had my first baby 5 weeks ago. My firm gives 18 weeks paid, but allows up to 26 weeks (6 months) total using vacation time and unpaid leave. I am still deciding between 5 and 6 months off. Be aware that breastfeeding difficulties are more common than many FTMs realize – I spent the first full month of my leave in a breastfeed/bottle/pumping cycle that took 75-90 minutes at every feeding, i.e., 99% of my waking time and energy. Now that baby is breastfeeding like a champ I want to spend all the time I can with her before jumping back into work (walks around the park, art museum trips, coffee dates with my SAHM/WAHM friends, lounging on the couch reading with baby on my chest for two hours, etc). *Almost* all the women in my department take the full six months, and those who do universally report that they are happy they did so because “you can’t ever get that time back,” and you don’t get any bonus points (other than a paycheck, obvs) for coming back early to a crazy stressful job. I do know one woman who came back after 4 months because she got super bored, but it’s way less flaky to come back earlier than planned than to ask for more time on the back end because you’re not ready for your leave to end yet. I agree completely. You have to see how you feel, but if you would like to take up to 6 months of leave and can swing it financially, I absolutely recommend it. I could not have imagined going to work after 8 weeks but again, it depends on you and your baby and what is going on at that time. I had a terrible time b*feeding and exclusively pumped for 14 months. I also agree that babies get WAY funner after 12 weeks, and I was so happy to be at home for those last 3 months when I could witness the fun stuff. And I’m not one of those “I wanted to be a mom my whole life” kind of people. I am very career driven but when it came to my child, I’m thankful that I had the extra time at home. If I were you, I would ask for more time off at the beginning. You can always come back earlier, but I think it’s harder to ask for MORE leave if you tell your boss that you only plan on taking 12 weeks. If you haven’t already, I would start researching nearby daycares or nannies. Many daycares have long waiting lists. I think I got on the waiting list for my son’s daycare when I was about 7 months pregnant. I don’t have kids yet, but DH and I have been doing some family planning recently and thinking about this. My firm only gives 3 months paid leave, but we live in California, where it’s my understanding that the state’s family rights act allows 12 weeks of job protection after your disability leave (which is protected under the FMLA), paid at 55% of salary (up to a max. of about $1,000/week). With that in mind, I think I can take 3 months paid, then 3 months at $1,000/week. Not great, but we can afford to do it. But. I am an attorney in a biglaw firm. How many times have we discussed here how hard it is to succeed as a woman in biglaw? As sad as it is, I think I would really be perceived as “not committed to the firm” if I were to take 6 months. Most women here take 3-4 months. For men, they’re technically given 2 weeks, but are encouraged to come back after just a few days (and most do–and then brag about it). So, the reason NOT to do it–even if you are job-protected and you can afford it–is that you might pay an unstated career penalty. Perhaps that wouldn’t be the case where you work, but it is a sad reality in many workplaces. As for me, I still feel like I would take the full 6 months–but mostly because I don’t really see myself in a law firm long term (though I have already given them 6 years), and because my husband has a job with extremely long hours, too, and won’t be able to help much–so any help I can give myself (by waiting to go back) will be necessary. I’m very curious – what law are you looking at? I’m in CA as well and my understanding is that paid family leave is 6 weeks (with the salary cap you mention). This provides an additional 12 weeks of unpaid, but job-protected leave for baby bonding. One big caveat, my fellow pregnant Californians: this leave can overlap with FMLA. Once your doctor has cleared you to go back to work (generally 6-8 weeks post partum), CFRA kicks in. This means that you most likely will not get 24 weeks of job-protection. 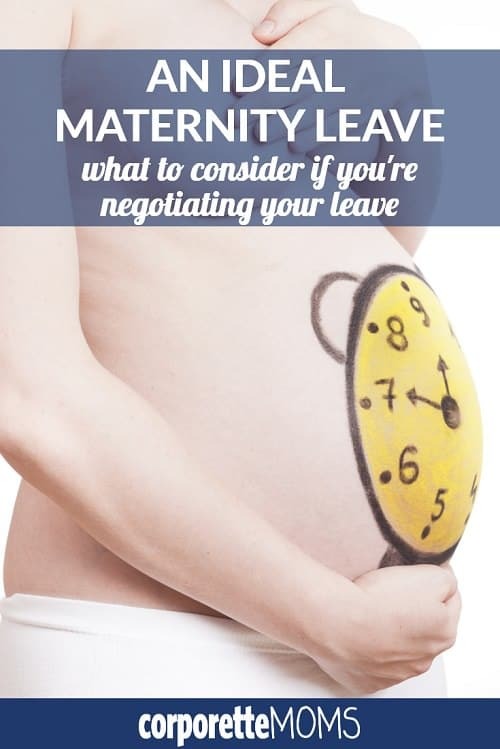 Depending on how much time you take off before the baby is born, when the baby is born, and the type of delivery, you may get a few weeks less of job-protected leave. So, I somewhat misspoke–it gives you 12 additional weeks of protection (after your disability from your doctor runs out–but my understanding is that many doctors will certify for 12 weeks of disability), not 12 weeks of pay. It only provides 6 weeks of pay. To me, the job protection part is more important than the pay from the state. Thanks for clarifying – I plainly need to do more research on my own, as I did not know I could get separate disability in addition to PFL. And my tip – CFRA/FMLA is not your only job protection in CA. We also have pregnancy disability leave that guarantees up to four months off (unpaid) if your employer has at least five employees (which I assume is the case for you, given that CFRA/FMLA would apply with your current employer). So you should be well set for job protection. At my firm, the 18 weeks paid maternity leave overlapped with the 12 weeks of California disability/paid family leave, so they would gross you up for the first 12 weeks but you would not get 18 weeks + $1000 California. My ideal leave would be 6 months paid (at least 50%, ideally 100%), starting 1 week before EDD. At 6 months old, babies are (1) starting solids then, which relieves some of the pumping pressure, (2) sleeping better – and therefore I am sleeping better, (3) heartier and better immunized, so the results of daycare germs is lessened. These all vary by child, if I must use that disclaimer. Paid because obviously money is important. I can take 18 weeks (unpaid), but since I’m our primary income I can barely afford 12. 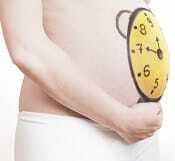 It seems to take us 1.5 years to recover financially from each maternity leave. One week before EDD because a hard date is helpful for everyone, I don’t want to be at work that last week, and if I don’t have a baby yet I enjoy the time relaxing, preparing, and/or spending time with spouse and older children before for the hubbub begins. I definitely agree with Kat’s recommendation to save 2-3 days of sick leave. I found it impossible to do certain things by the end of my first (only pregnancy). In the last three weeks I was very tired, there was a lot of hip and back pain if I had to stand suddenly and because I was not willing to take Tylenol I just went through it. I went on maternity leave two weeks before due date and though we could have used the money I needed the time off. My advice basically is to book yourself fewer things close to the end of pregnancy. I cut volunteer commitments in the last three weeks, got a maid, cut back on frequency of having to do laundry by buying more things, stockpiled frozen food etc. you have no way of knowing how bad it will be until you get there. I took 6 weeks off, which was fine. My entire leave was unpaid, and I am the sole income provider, and more than 6 weeks without income was too much for my family. I could have taken four months, but it would have all been unpaid. I would have taken longer if it were paid. I think the financial cost of unpaid leave needs to be seriously considered when deciding how much time to take. My son started sleeping through the night some of the time shortly after I went back to work, and was sleeping through the night every night by 4 months. I dealt with the sleeplessness much better than I expected, although I normally have a very high sleep need. I also had no problem breastfeeding for a year with pumping at work, although I did not have any particular breastfeeding challenges. Breastfeeding definitely would have been easier if I stayed home, but pumping at work is doable, if time consuming. My son’s breast-milk consumption was pretty constant, and it did not go down until I intentionally began weaning at 12 months. Going back at 6 weeks was probably easier in some ways because the baby was not much fun yet. I felt better overall after I went back, I liked feeling productive again. I do agree that it is better to say you will take a longer leave and come back early than say you will take a shorter leave and ask for more time. I felt worse at the beginning of pregnancy than I did at the end, and I had no problems working my desk job until I went into labor. I did miss a lot of work at the end for doctors appointments. Logistically it would have been nice to have an end date, and some extra sleep and relaxation would have been nice, but it was not necessary. I just want others to know that it can be okay to take a short leave if that is what is best for your family. I was terrified of going back to work at 6 weeks, and especially of trying to continuing breastfeeding, and I feel like on the internet you tend to only hear the bad stories. Thank you for sharing! I am contemplating a job change and I may find myself in a similar situation. Can you please share your sleeping strategy? Your baby sounds awesome – I have an 8 week old who is precious in every way, but he is no way near sleeping for more than a 3 hour stretch. As a federal employee, I didn’t get any paid maternity leave, but I was able to use 9 weeks of sick and annual leave. I was definitely ready to go back by that point because I was getting antsy hanging out in the house all the time. I do think that if I had had a longer leave, I would have gotten more comfortable taking the baby out, especially after her 8 week shots, and might have enjoyed a longer leave eventually. My takeaway is that I think it’s a good idea to plan for as much leave as you can reasonably take – if you decide you want to go back earlier, I doubt any employer would complain. When I went back to work I did 7 hour days for the first couple of weeks, which really helped with the transition. I highly recommend easing back in! I am also a federal employee but I was able to save enough leave to take 6 months and have all but about 3 weeks be paid. My recommendation, wherever you are, is to plan to take as much leave as your job will allow. You never get that time back. They really are just starting to wake up to the world between 3-4 months, grabbing things and smiling and really reacting to you. As a newborn, I felt like the emotional bonding was kindof one-way — they bond with you because of hormones, etc, but it isn’t until they are a few months old where I really felt like it became emotionally a two-way street. Also, I cannot imagine how I would have nursed successfully if I had gone back to work after 10 or 12 weeks. Frankly, it took until 12-15 weeks before I was even moving around like normal after a long labor followed by a C section. If you find yourself bored or aren’t loving being home, I don’t think anyone is going to be mad at you for coming back early! On the other hand, if you plan for only a short leave and then don’t feel that you are ready to return, it will be more difficult to work that out later. I am currently on maternity leave with my first, and if possible I highly recommend leaving some flexibility for the unexpected. With no risk indicators (high blood pressure, etc…) ahead of time, my water broke just shy of 34 weeks. 9 hours later my beautiful girl was born, and whisked away to NICU. She turned two months old today, and while she is healthy and just topped 10 pounds, I never could have imagined the road we traveled. 17 days in NICU, a D&C four weeks post delivery to remove retained placenta, pumping round the clock because my baby never got the hang of breastfeeding after the time in NICU, and finally postpartum depression. We are working on transitioning her to formula so that I can go back on my old antidepressants, but are having trouble finding one she can tolerate. I work part time for another attorney and part time for myself, and I had not yet transitioned the majority of my cases. I was emailing from the hospital bed to get coverage for hearings. My maternity leave has looked nothing like what I imagined it to be, but I have an understanding boss and have extended time off to my original return date in order to keep her out of daycare through the worst of cold and flu season. I am sorry for the rambling, I am sleep deprived and have no internal editing right now. So prepare early. Be flexible. And know that whatever the challenges are, it is worth it. My bundle of snuggles is asleep in my other arm as I type this on my phone, and while it can be so so hard, it is also so good. Do keep in mind being able to function on reduced sleep! I am at the point of not charging a client to wrap up her divorce bc I can’t realistically track my time at my normal rates given the toll sleep deprivation is taking. Good luck!! I’m so sorry to hear your story. Have you tried soy formula? Also have you tried the pre-mixed formula (not powder)? That seems to have a better consistency for fussy babies. Big hugs. For my first kid I was at mid law and took 12 weeks of maternity leave. I delivered at 41w6d and worked up until the day of my induction at 41w3d. I was 100% fine working up (and well past) my due date; I was given a doc review project my last week that any one could take over so it worked out really well and I was happily billing to try to be above 100% before I left. My husband also had 12 weeks of leave that we stacked after mine. It was the perfect length of time, but only because my husband was off after me so I didn’t have to schlep a kid to day care or anything. Not sure I could have take just 12 weeks if he hadn’t been off right after me. I exclusively breast fed and pumped for a year; it worked well because I was a litigator with a largely appellate/motion practice and a super nice pump (go Medela Freestyle) so working, traveling, and pumping was all very easy. For kid 2, (about 23 months later), I also worked up until the day of my scheduled c-section at 39w6d. I knew I wanted just a bit more time off, mainly because my husband had switched jobs and was no longer offered a paternity leave. I took 16 weeks of the second time around and that was perfect. Breastfeeding was also great and I pumped for about 18 months for my second child. I think working and pumping is doable — I recommend starting to build a stash around 4 weeks and what I would do was aim to pump a 5 ounce excess every few days so I had several hundred ounces of breastmilk in the freezer by the time I went back to work. We bought a deep freeze just for breastmilk. This was great because if I had to travel or whatever, I had a few days of buffer and didn’t have to worry about not producing enough (even though I always did). I’m glad I did this because with 2 kids, they both only had breastmilk and that was one of my (admittedly arbitrary and ridiculous) goals. Wait— please forgive my ignorance / curiosity, but does your first sentence mean you delivered THREE DAYS after being induced? I’m in my first pregnancy and that sort of terrifies me. I was induced twice. Ugh. And baby was born about 2.5 days after we started the second induction. Followed by c-section of course. Sigh. Yeah. :( Seventy hour induction followed by a crash c-section at 3 am. Happily scheduled a repeat c-section for baby number two! I will also add: do not be scared! Most inductions work really well! I REALLY wanted to deliver vaginally and pain-med free so that’s why my care team let us go so long. I doubt you’d go that long if you didn’t want to. Not sure how relevant this is but my OB told me I had a pelvis that was not at all conducive to vaginal term deliveries so it may have never worked. I’m a first time mom still out on maternity leave with my 5 week old. I had an 80-some hour induction followed by emergency C-section too (mine actually stretched into a fourth calendar day as the delivery was at around 1 am). I’m kind of glad to see I’m not the only one! I also really wanted to deliver vaginally and pain-med free, so that influenced my care team’s decisions too. I was told I have a “perfect” shaped pelvis, however, so it can happen in a variety of circumstances. And to PP who is freaked out by that — it’s unusual but know that if it happens, you’ll make it through. I know I stressed out a ton about what-if scenarios before I delivered, but coming from this side, it’s really not worth stressing about in advance. Everything I stressed about wasn’t a big deal, and I didn’t think to stress about the issues that actually came up. Oh wow. I already know mine will be a scheduled C-section due to some other risk factors we just don’t want to mess with. I’m not at all disappointed after hearing some of these stories! I had a three-day induction resulting in a vaginal birth; I’d do it again in a heartbeat if needed. I agree with Kat. 8 weeks is the longest I would have taken with my first baby – I was ready to be back at work! I worked until 2 hours before my scheduled induction (one last night shift- I was an ob-gyn resident). I was only allowed 6 weeks off (4 of it paid). It was not so hard going back when he did so little at that phase. I never felt like he missed me – as long as he had someone to cuddle and feed him, he was happy. It’s much harder now, as a toddler, when he knows I’m gone! Easing back in is ideal if you can. I didn’t have the option, and worked 80 hour weeks when I got back. I actually would get more sleep when I was in the hospital on call than when I was home. I am used to functioning on very little sleep for my job, so the sleep deprivation didn’t affect me as badly. My husband, on the other hand, had a lot harder time adjusting! As for feeding, I pumped at work until 10 months, and then quit pumping and was able to nurse morning and evening for one more month before weaning. We did have breastfeeding challenges in the beginning, but I think most people have worked out some kind of a feeding system by 3-4 weeks. I would avoid trying to ‘work from home’ in any capacity before at least 4 weeks. For my next one, I’ll probably take 8-12 weeks. I’ll choose longer this time because I’m done with my training and can request up to 12 weeks (paid), and now my oldest is a toddler and we can really enjoy my time off. Ideally I’d like to be able to take as much as I want unpaid, but the only fully paid portion of my leave would be PTO I’ve banked, followed by STD at around 40%. I think we will be able to swing that financially, so I would take between 12-14 weeks total. I love my job, though, and I think I’d be up for returning earlier (assuming all goes well with potential future baby) on flexible terms, assuming I could be compensated appropriately. Meaning, I wouldn’t mind answering emails, working on documents, and writing code from my home or from the office for a few hours, but if I’m going to be making 40% of my salary being a full time new mom, why would I? Not sure I’m explaining that correctly, but my point is, if I got to work from home or work part time and get paid 100% I’d absolutely do that, but since I doubt that’s an option (you can’t be on STD AND get paid part-time, and you can’t get paid 100% for working part-time either) I will probably just take the full 12-14 weeks. I do think I’ll miss my job, I already think about maternity leave when discussing future project milestones. When we talk about products launching in early 2016 I think, “But what if I’m on maternity leave! This software is also my baby!” That’s the kind of thing I’d love to still be able to be involved in on maternity leave – again, if I’m compensated appropriately for working on my leave. Like one of the commenters above, I also work for the federal government, and I recently realized we have no parental leave policy at all. Just take whatever sick and vacation leave you have accumulated. We earn about 4 weeks per year (2 weeks sick, 2 weeks vacation), and I’ve only worked there for two years; plus I’ve used a little of it for my own doctors’ appointments, a day off here and there, etc. I’ve never had a baby but am hoping to try in the next year or so. Unfortunately, federal agencies have no authority to provide additional paid leave. Congress would have to amend title 5. If you can take up to 6 months, do it. I never had much interest in babies, got pregnant by accident, and was all “Rah rah I’m going to be a career woman!” Wrong. I had 12 weeks off and going back to work was SO hard, especially since I was breastfeeding. Pumping at work is miserable and I only made it like 2.5 months before I just gave up. That extra time with your baby is time you’ll never get back. Everyone is different, but I would have liked more time off, or at least a significantly reduced schedule for the first few months back. I had 12 weeks, unpaid except 6 weeks of STD at 60%. My husband took a couple months off when I went back and I remember being really resentful that he got to stay home with our son just when he was starting to get fun, old enough to drop off at babysitting at the gym, etc etc. Plus my job was stressful and 10-12 hours a day including commute, pumping at work was the bane of my existance, and sleep was not great (although let’s be honest, baby is a year and a half now and sleep is still not great). We could have managed financially if I’d taken a couple more months off — DH did not have any paid leave either, so we were basically living on one income for the better part of 6 months, we just alternated whose income it was — but my employer was not supportive of that. That said, I do think it was a very good thing for my husband to be primary caretaker for a while. Somehow he still thinks watching my son all day or taking him to run errands is “not a hassle,” “fun,” and “easy.” I think he’s nuts, but I’m glad he’s so confident. I worked up until the day I went into the hospital, took 8 weeks off (that was the max I could get paid at 100%), then went right back into full time. I was more than ready to get out of the house after being home 2 months straight. I pumped at work until the baby was 1, and we are still BFing morning and night at over 2 years (I really want this kid to wean but he is not going for it!). Admittedly, I had a really easy pregnancy and very few BFing issues, other than my pumped supply occasionally didn’t meet his demands while I was at work and then we supplemented if he really couldn’t wait to eat until I came home. I wouldn’t say that it was always ideal, but it worked for me. Luckily, what I thought I would want and what I actually did want once the baby arrived aligned. I am currently 7 months pregnant with #2, and I think I may only take 7 weeks off this time to save the vacation week for a few long weekends at home with the kids. I am happy to see this comment, because the comments have been making me feel like a bad mom for not minding a short maternity leave. First baby- took 8 weeks and had to go back. I was miserable going back. Second baby- planned on taking 12 weeks and was begging to go back after 8 weeks. I think flexibility is key. You don’t know how you’re going to feel, how much baby will need etc. Both my babies were so different and the second one just needed me less (non-colichy, good sleeper etc.). I was also at a different point in my career and really valued my “adult time”. I would start planning quite early and have everything ready. I kept beginning my boss to talk about transitions and lightening my load as early as 6 months, because come 9pm, I was tired (and I had a standing 6am call). I was first told well other women can handle it. Nice (he did apologize an hour later). Anyhoo flash forward to a holiday weekend at 7 months. I was just not up to working on Saturday though wildly energetic. At 3am Sunday Boom – my water broke. The outline due Monday at noon for an all day client interview Tuesday- 35 pages of handwritten notes at my house. The depo up in Boston on Wednesday – not gonna cover it. Regarding time – I took 16 weeks. The first 3 were spent tending to my daughter in the NICU (she is fine). It was the perfect amount of time. We bonded and I watched bad tv. She had limited mouth movement so each feed took 1 1/2 hours, so it was beyond exhausting. Around week 13, I was starting to miss the real world. So it was the perfect time. Baby number 2, I ended up switching firms at 6 months! (I disclosed pregnancy and said I would only join if I could take maternity leave). Here I was the new girl turning down projects, but after the preemie the first time around, the goal was to not overwork myself as I was high risk. Baby boy was born at 37 weeks! I only took 12 weeks and it was a bit too short, I would have liked 1 or 2 more weeks, but he was so much easier as a baby (as a toddler now, not so much). At six months, you should already have a leave plan prepared, in my experience. Babies often come early with is no warning – the pregnant co-worker just doesn’t show up one day. In both of my pregnancies, I had plans that I updated weekly as to project status and indicating which coworker would take what project if I delivered early and those were in place when I was six months along. With my first I worked late – 9p.m. – with a burst of energy and went into labor at 1a.m. on her exact due date. With my second, I had a weird labor starting a whole month early (was basically in and out of the hospital for a week before delivering), and didn’t expect that. So having the plan allowed me not to worry. Reading some of these posts has really surprised me. Things are so different here in the UK. Pregnancy and maternity leave are protected in statue by specific laws including discrimination law. You can’t be fired or penalised for anything relating to your pregnancy and work and you can start your leave up to 11 weeks before the week of the due date. By law every new mother must legally take at least 2 weeks off post delivering a baby and everyone has a right to 52 weeks’ statutory maternity leave – yes, you can take a whole year if you want to and no-one can complain, pause your employment benefits (including accruing annual leave ), replace you, demote you, use it against you in a performance review/promotion process! Granted your emploer will not have to pay you 100% of your salary in the time but they will often pay up to 6 months then drop to half pay for a bit, sometimes full pay is longer at big companies that want to brand themselves as family friendly. Anything your employer pays above the statutory amounts (which they pay on behalf of the government then claim back) is discretionary, but even if your employer does not give discretionary maternity pay women are entitled to Statutory Maternity Pay for 39 weeks as long as they earn over £111 per week, have worked for their employer for 26 weeks before the 15th week of pregnancy, and gave their employer the correct notice to organise maternity leave (or you get Maternity Allowance if you don’t qualify for SMP). New dad’s also get 2 weeks’ paid paternity leave, and can apply for extended paternity leave if the mother goes back to work (kind of like transferring her maternity leave entitlement to the father). All of this also applies to adoption. I used to really want to move to the States but when I look at our employment rights, annual leave (28 days statutory) and (free) health care system I think I’d be mad to make the move (esp. Sincee I have a disability and I don’t have kids yet)! I might do a short overseas assignment one day though, just for the experience. I’m from Canada where we get a year mandated and paid (up to $2000 a month) by the government and can be split between spouses. I took 11 months. Take all the time you can. If you have the opportunity for 6 months, by all means take it!! I can’t believe the original response wouldn’t have said that.